Upon receiving a publishing contract for my book, I knew I was going to need an author’s photo. To compete in the marketplace today, I also knew that photo had to be well done, by a professional who would understand the sort of look that’s unique to authors. I spent a good amount of time researching photographers, and though there were many that were obviously capable, Kristi Sheriff’s work stood out as being unique. She had a way with color and texture and particularly with capturing a mood or expression that rose above the rest. After thoroughly reviewing her portfolio I called and reserved a shoot. I was pleasantly surprised to learn that not only is Kristi an extremely talented photographer, but she’s also adept at helping her subjects feel at ease. Getting your picture taken can be a nerve-wracking experience, but with Kristi, it was just fun. I never would have expected the afternoon shoot to feel that way, but it did! Kristi is friendly, open, and easy going, and I was very comfortable with her in a matter of minutes. It showed through in the final photos—which by the way, were stunning. In gathering opinions on which ones would be best for my books and marketing efforts, the comment I heard over and over again was, “They’re all so good. How can you choose?” The ones I did end up with will easily compete with any taken in New York or Los Angeles, I’m sure, simply because of the quality Kristi achieves. I would highly recommend her to anyone looking to have quality photos taken for any occasion. You’ll be so happy with the results! 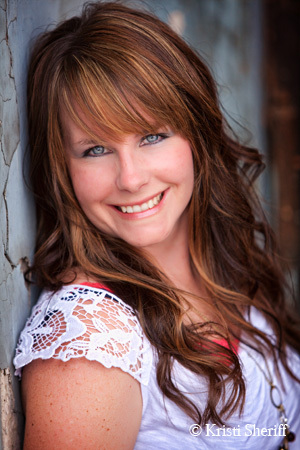 ~ Colleen S.
Kristi Sheriff Photography not only made me feel like a million dollars with the headshots she took of me but also provided me with professional looking photos that have helped me grow my business! 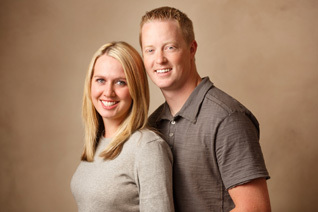 My daughter and son-in-law hired Kristi for their engagement and the subsequent bridal and wedding pictures. This was the best decision made in her wedding planning. The engagement pictures, with a mixture of backgrounds and settings, were incredible. Kristi and my daughter designed her wedding announcements with a collage of engagement pictures and I loved them. My favorite picture hangs in my daughter and son-in-law’s bedroom. It was taken in a small waterfall. The movement of the water and all the changes of color captured in this photo are artistically classic. The bridal and wedding photographs were equally incredible. A bridal picture of my daughter sits on my dresser and often simply takes my breath away. Besides her talent, Kristi is warm, organized and easy to work with. Her reproductions are of the highest quality and there was nothing in her work that disappointed me. I look forward to working with Kristi again. We hired Kristi to take our Wedding Engagement photos in 2010. We were both dreading taking photos because neither of us consider ourselves photogenic at all. But when we showed up apprehensive, she put us at ease instantly. We actually ended up having a lot of fun and LOVED the photos we got from our session. Later in the year, I also worked with Kristi for a Pin Up Boudoir photo session. I definitely wouldn’t have been willing to do this with any other photographer. Again, I felt entirely comfortable working with her and the photos turned out great! I would recommend Kristi Sheriff Photography in a heartbeat. Her professionalism, timeliness and creativity make her, by far, the best photographer in Southeast Idaho. I plan on hiring her many times in the future! 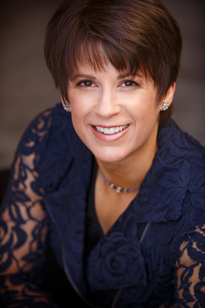 My experience with Kristi Sheriff has not only been great, but has been exceptional. She is not only very professional and creative but makes you feel comfortable and a part of your life as she is photographing your graduation photos, your wedding, newborn pictures and even family. I have experienced all of these events with Kristi. I wouldn’t have wanted any other photographer to be a part of these major life events as she captures the moments perfect and leaves the memories in the pictures forever. All of my photographs that Kristi has taken for me and my family have turned out more beautiful than imagined. She truly captures the feelings and the beauty in every photograph.I would highly recommend Kristi Sheriff to photograph any major event in your life as she has done my high school graduation, my wedding, collage graduation and then the birth of my first child. She has a great personality and I am very confident that she will treat you as well as she has treated me. It is my pleasure to highly recommend Kristi Sheriff to do pictures. She is the most fabulous photographer I have ever worked with. She has taken a lot of time to meet the needs of our family and our pictures. The first time I met Kristi I felt so comfortable having her take the pictures. She has done 2 of my daughters’ weddings and pre-bridals. We had an immediate family picture taken with all 6 of my children and their spouses and at the time we had 3 grandkids. She was so good with them. Some of the candid pictures she took of my little grandkids I still display – they were so good. We now have 9 grandkids with another one on the way so it is probably time we get another session scheduled. She also took 3 sessions of my daughter’s senior pictures. She made it a special time for her. When she got married this last January the thing we scheduled around the most was making sure Kristi was available to take the pictures of her special day. Thanks Kristi. You are the best. 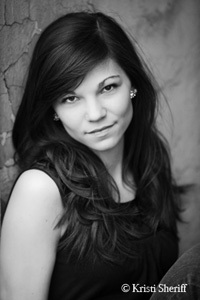 When it was time to have our daughter’s Senior Pictures taken, I simply asked her the questions, ‘Whose have you seen? Whose do you like?” First on her list were the photos that had been taken by Kristi Sheriff. Since we wanted our daughter to be happy with her pictures, we did not even shop around, we just went straight to Kristi, and we can honestly say that we have been very impressed with the quality of not only the finished products, but impressed by the entire experience. Kristi completely “gets” the look that Seniors of 2011 are going for in their portraits…and she understands that they are most likely wanting many different “looks” from the same photo shoot. All you need to do is spend some time on Kristi Sheriff’s website to see that her pictures are not your standard fare…she captures your child’s persona in a way that you have always wished you could…and she will listen to both the student and the parent, to make sure everyone has a voice in the final product. When working with Kristi, both during the photo shoot, and later when she presented the portraits to us in a slide show, we never once felt rushed…we truly did feel as though we were her only priority and that she wanted to make sure she had exceeded our expectations. And Kristi did just that…the quality of our daughter’s portraits exceeded our expectations! If you are wanting to just get through the whole Senior picture “ordeal” as quickly as possible, and as cheaply as possible, then Kristi Sheriff is not the photographer for you. If you want the whole Senior picture experience to be fun, relaxed and anything but an “ordeal,” if you want to have TOP QUALITY portraits of your son or daughter that you will treasure forever, taken by an award winning photographer, then you should consider Kristi Sheriff Photography. Being a guy I have never looked forward to a photo shoot. The drill is the same every time, you go to the studio, sit in front of a camera and in a few days you go back in and buy pictures. Everything about that scenario was completely different and fun when my wife and I had a photo shoot with Kristi. I’ll admit, at first Kristi had to talk me in to even coming to the session. Her argument of “you get to kiss your wife … a lot” was just enough to get me to show up. But then we left the studio and went walking around downtown, we made jokes and chatted with Kristi. It was like hanging out with a new, really cool friend, and definitely not the boring waste of an afternoon that I normally associate with a photo shoot. Most of the time, we didn’t have to be told to “smile” because we were already laughing and having a good time while Kristi was shooting. Then, after our photos had been processed, we went in to look at the photos that Kristi had taken. They were simply amazing. None of the photos seemed forced, and Kristi was somehow able to make every side our “good side”. My guess is that really having a good time when the photos were taken had something to do with the quality of the photos, but the creativity that Kristi put into the angle and the lighting and the natural poses made them the best pictures that my wife and I had ever seen of either of us. And somehow Kristi was able to capture the best pictures of both of us at the same time. Then when we couldn’t decide what size or how many pictures we wanted Kristi used her creativity again to help us pick some photos to hang in our living room based on a snapshot of the wall where we wanted them to hang. I would have never imagined that a photo shoot would be fun, but it was. I never thought that I would thoroughly enjoy having pictures of myself, but I do. And I never thought that I would be going on about how good a photographer was, but I am. Kristi Sheriff is so good at what she does that everything you think you know about getting your picture taken is probably wrong. It was such a great experience working with Kristi, she is truly an amazing photographer and my husband and I could just not stop laughing and having so much fun in our shoots with her! She captured the greatest moments of our wedding and we could not be more happy that we have them to look back on our special day. We have enjoyed working with her so much and will definitely work with her again in the future! Kristi Sheriff exceeded my expectations as a photographer! I had so much fun getting my senior pictures taken with her! She was so enjoyable during our shoot and she took extra time with me to take me to the destinations I wanted to fit my personality. She made me look beautiful and I am beyond satisfied with the outcome of my pictures! I will definitely get photos with Kristi again in the future!